« 15 lies from abortion advocates? More and more we are seeing moves towards a cashless society? Is that a risk? ”the banks refuse to take cash.” THE BANKS. Before going further, let me add that more and more banks are treating cash suspiciously, even in the USA. Like many people, I am a careful person when it comes to digital commerce, yet nonetheless I had two of my credit cards hacked (twice in the last four years) … But my experience was not unusual. Nearly 18 million Americans suffered from some form of identity theft in 2014 alone. India’s currency gamesare more immediate and could have a sinister effect, since it is already a socialist state and we know how fond socialists and communists are of controlling all aspects of their populations. I do not believe that the USA can go totally cashless in the first term of a Donald Trump presidency as he received most of the evangelical vote, wants to run again, and realizes that they would have major prophetic concerns if he were to do so. The vision of a cashless society, from a biblical perspective, resembles something that those in Sweden will not really want. Sweden going to ‘666’ cashlessness? Sweden continues to reduce the amount of currency notes and coins in circulation as more and more Swedes turn to digital forms of payments. Even ‘farmers’ markets’ take debit and credit cards. Will this eliminate crime or lead to the rise of the Beast and Antichrist power? Could what is happening in Sweden be a prelude to the control of buying and selling that Revelation 13:16-18 associates with 666? Dr. Thiel addresses these issues from Stockholm, Sweden. Here is a link to our video: Sweden going to ‘666’ cashlessness? The world in general, as well as Europe in particular, is moving more towards a cashless society. The above prophecy was written over 1900 years ago, and was not possibly able to be fulfilled until the 21st century. A century where cash is being replaced by electronic currency that can be fully tracked. And that prophesy is clearly telling of tyranny in such a society. Something like that may very well happen again in the USA and in Europe. Those who make gold their hope will be disappointed. See also the article The Plain Truth About Gold in Prophecy. How Should a Christian View Gold? Money will one day fail. Gold and silver are also not the answer to the world’s economic problems. The real solution to the financial crises that will come is repentance and the Gospel of the Kingdom of God. A cashless society is one where buying and selling can be controlled. So much surveillance is already in place–and more is to come! 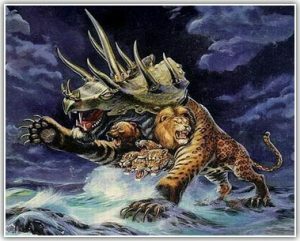 The technology for the Beast of Revelation to control buying and selling is being put in place and is getting more acceptance. We are getting closer to the time of the end. This entry was posted on Tuesday, November 27th, 2018 at 7:30 am	and is filed under Prophecy. 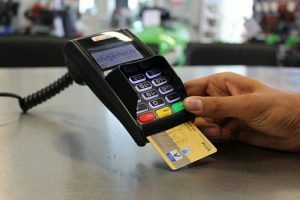 Sweden becoming cashless? A prelude to 666? Sweden getting almost totally cashless: A portend for 666?